The album is dead; long live the music playlist or Spotify playlist. A highly contentious and polarising statement. But is it true? Has the growing popularity and influence of the music playlist signalled the demise of the long-player? After all there are very few albums you could consider ‘All Killer No Filler’. And when was the last time you went to a House Party and the host didn’t have a specially curated playlist for the evenings events? 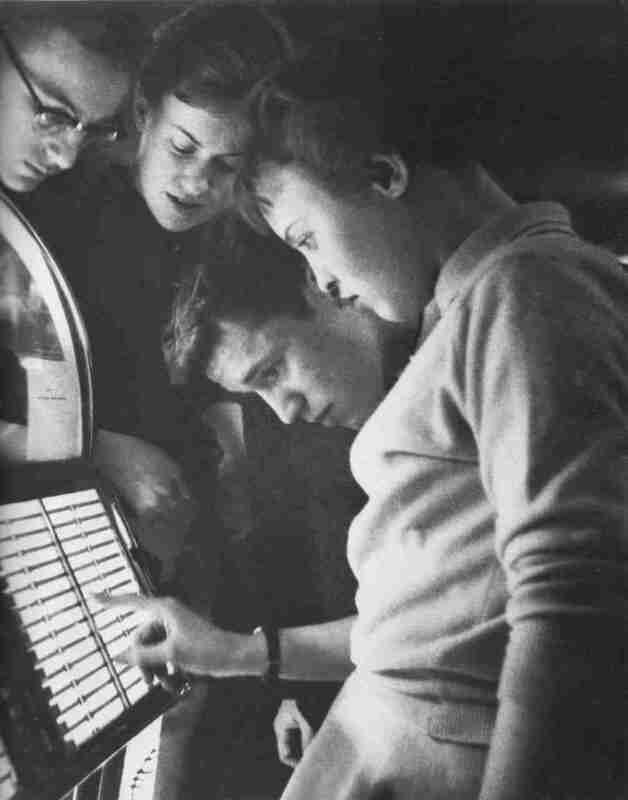 In fact since the 50’s many of us would have had our own jukebox, if we could have afforded one. So has the music playlist replaced the album as the most important format for releasing music? Die-hard music enthusiasts will argue no. Citing the enduring artistic importance of the album. An argument that is seemingly valid, and not one we wholly disagree with. After all we had recently written a piece on ‘The Most Influential / Best Electronic Albums of all time‘. However finding a complete album is almost as tricky as finding a Hip-Hop artist who isn’t obsessed with girls and money. Furthermore those same voices are often those found declaring streaming as the eighth deadly sin and Netflix the scourge of the Cinema. A passion, that whilst admirable, is ultimately flawed and not just because of the irrefutable power of the playlist. Before the days of downloads and streaming the model was four physical singles + b-sides, followed by a physical album. An album that contained the four singles you’d already bought, plus 6 to 7 additional tracks that you couldn’t hear unless you bought the album. And whilst it was perceived as an artistic milestone for most artists, you have to wonder whether the creation of the album was ever really about artistic expression. After all you were essentially forking out twice for the same four tracks you’d already bought as singles. In truth music has always been about the music playlist and never albums. Why do you think radio disc jockeys, club DJs, jukeboxes, the iPod, the complaint you favourite artist is only playing tracks from their latest album, and the CD skip button, all came into existence. It was just that prior to the Internet, streaming, downloads and Spotify, that personal playlist creation was mostly in the hands of the amorous mixtape curator. And therefore commercially the majors would attempt to market the seemingly virtuous and culturally significant album. So has the music playlist replaced the album as the most important format for releasing music? Well in our opinion the answer is yes and no. Yes, because the commercially driven album can no longer be flogged to us on the basis of 4 great singles. No, and this is the rewarding side of playlist proliferation, the album is now, perhaps for the first time in its history, truly about artistic expression. You can no longer just throw 10-12 tracks together and hope some unwitting fan will swallow it whole. You actually have to create something that is truly greater than the sum of its parts. That said the balance of power has most certainly shifted away from the album. So much so that getting a record on the right playlist can make or break an artists career. Ever since the 1950’s and the invention of the Jukebox we’ve loved selecting and sharing our favourite records. We at Blah Blah Blah have been doing it since our first double cassette deck and we’re still doing it now [See Below]. The only difference is that instead of Wurlitzer, Toshiba and Napster we have Spotify, Apple Music, and YouTube. CLICK IMAGE LINKS BELOW – To discover our Blah Blah Blah curated playlists. Alternatively click the following link to head straight to our ‘WeAreBlahBlahBlah – Spotify‘ account.